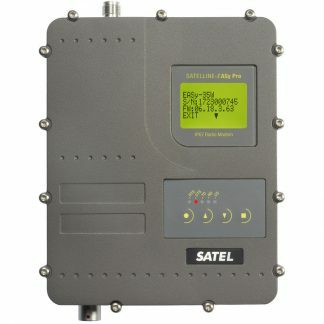 This rugged rover is an IP67 classified radio that is based on the SATELLINE-EASy 1W UHF module. 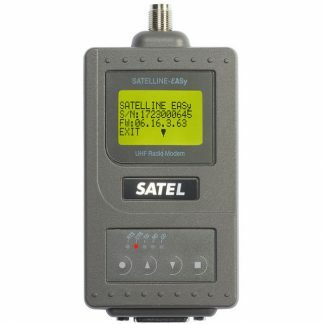 It is equipped with a rechargeable battery that can be easily replaced if necessary. 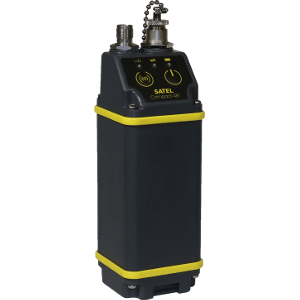 The lithium-ion battery provides long lasting performance and plenty of operating hours. 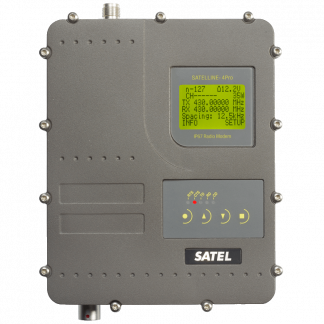 Operating time exceeds a full work day (15h estimated with 50% duty cycle @ 1W TX power, battery life varies with usage). 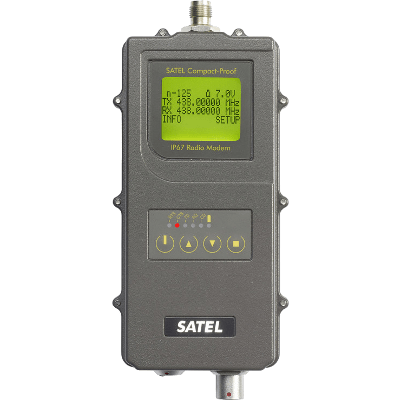 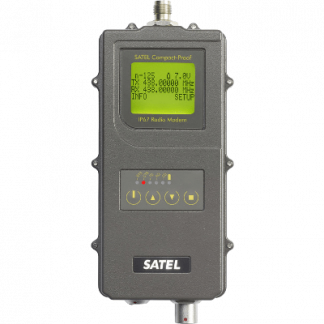 Compatibility spans a wide variety of SATEL modems with the 3AS/EASy protocol, with additional compatibility modes allowing for inter-operation with other radios including Pacific Crest, Trimble, and others.